North Orleans enjoys three separate eateries. All delicious and all just downstairs. 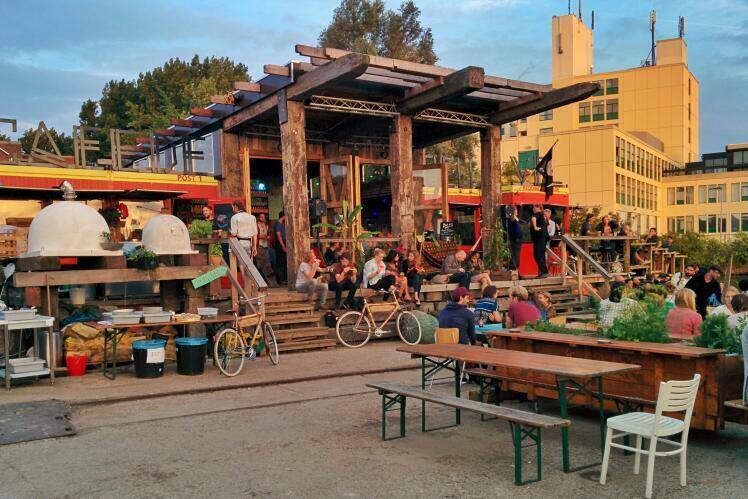 Just below North Orleans is a traditional wood oven pizzeria, serving delicious bakes until 10pm. Start you day with a hit of possibly the best caffeine in town. Drink in or take away. Is there any better way to start the day? It’s nice to know that you can always grab something as you’re rushing for work. Situated downstairs, the café serves up some of the most scrumptious panini’s and freshly brewed coffee. Not to mention some rather fine croissants and hot toasties. It’s a wonderfully cosy spot that always has the daily newspaper on hand and free Wi-Fi if you prefer your news digital. Pop in anytime. It’s amazing what these guys can do with the basic ingredients of a pizza – water, flour, baking power and salt. Inventive toppings, the very finest ingredients and all put together with their own distinctive flair – it’s like having your own little Italy just downstairs. Everything is cooked in their hand-made wood-fired brick oven giving every pizza an incredible flavour. You can eat in at the social long table (always nice to catch up with your neighbours), or take out and perhaps tuck into your dinner in the Courtyard. You’ll just find yourself drawn here time and again. With a fortnightly menu, the restaurant serves up simple yet seriously delicious food. Treat yourself after a long day of work on a superior steak and fries. It’s a moreish menu that’s focused around creating great quality food at affordable prices. Which also makes it very very tempting. 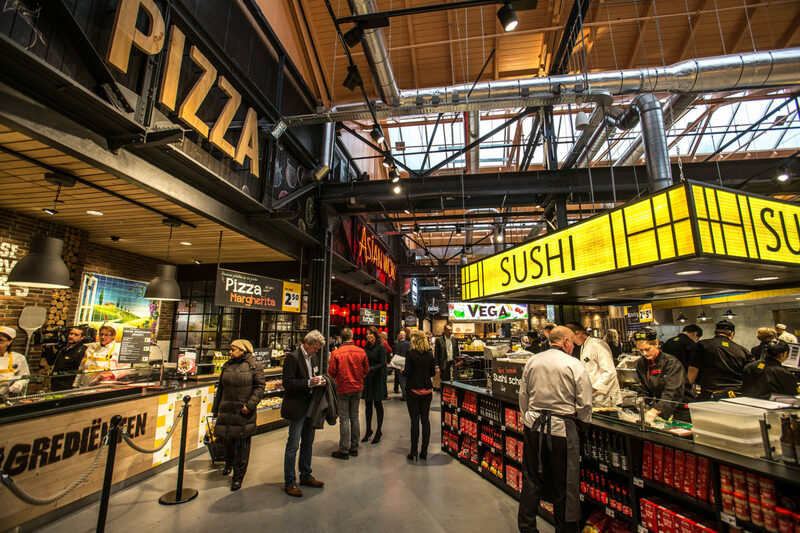 As you’d expect, the dishes of all three eateries can either be eaten in or taken away. So you can find a seat at the sociable long table – a great place to hang out with your fellow neighbour. Or you can just retire to your apartment to get some peace and quiet. Hunger has a habit of striking when you least expect it, but when it does, head to the 24 hour vendor serving up delicious bites and beverages. Raise a glass to quality vino on hand. Tuck into cheeses aged to perfection. And chocolate that’s wonderfully decadent. Seriously, it’s amazing. It takes snacking to a whole new wholesome level. What’s happening around North Orleans? Lots. Amsterdam North is an area that’s on the up – a place that’s attracting some big investment and brands from across the water. And with good reason. 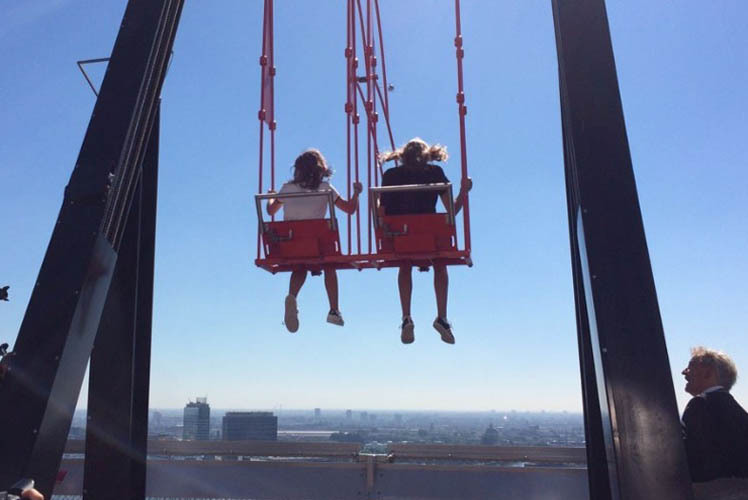 You only need to look at places like the new A’Dam tower, with its revolving restaurant, top floor nightclub and panoramic viewing terrace with spectacular swing over the edge; or Stork, a restaurant that serves up the fresh sea delights every day, and you get a sense of the North’s energy. Things are changing – so why watch the wave of change when you can surf it? Jumbo Foodmarket for grocery shopping. The ferry to Central Station, just 7 minutes by bike. Busstop at a five minute walk. Adam tower: Amsterdam’s hottest night life spot. Oedipus brewery, home brewn beers with fantastic names. 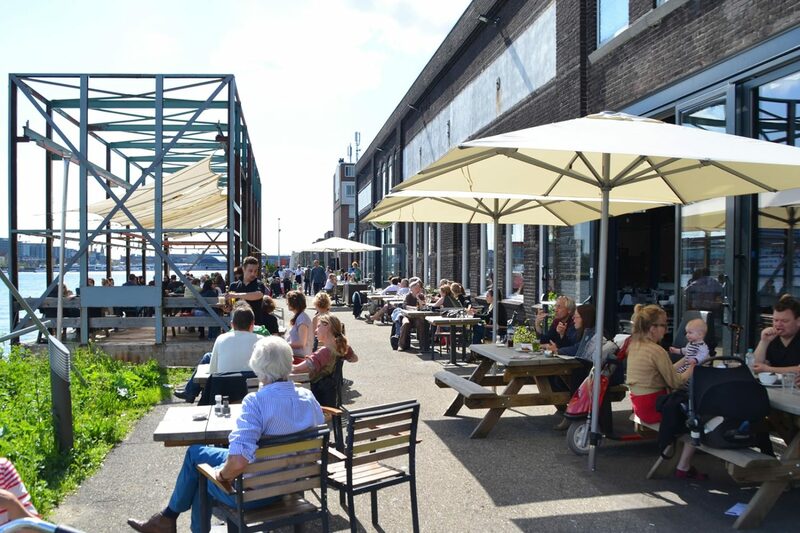 De Ceuvel: food and drinks in a new clean-tech playground. 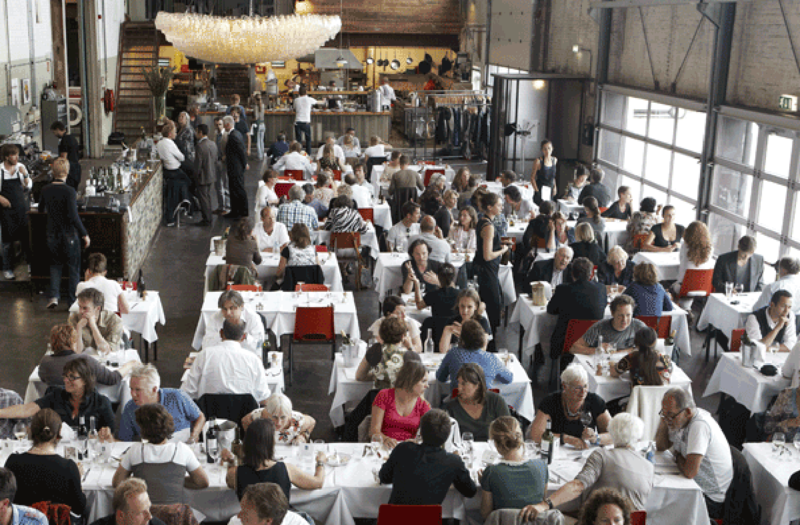 Cafe Modern: the more upmarket brother of the Goudfazant. The new subway stop, almost ready! And there’s more. By 2018, the metro will be plumbed in and ready to roll. 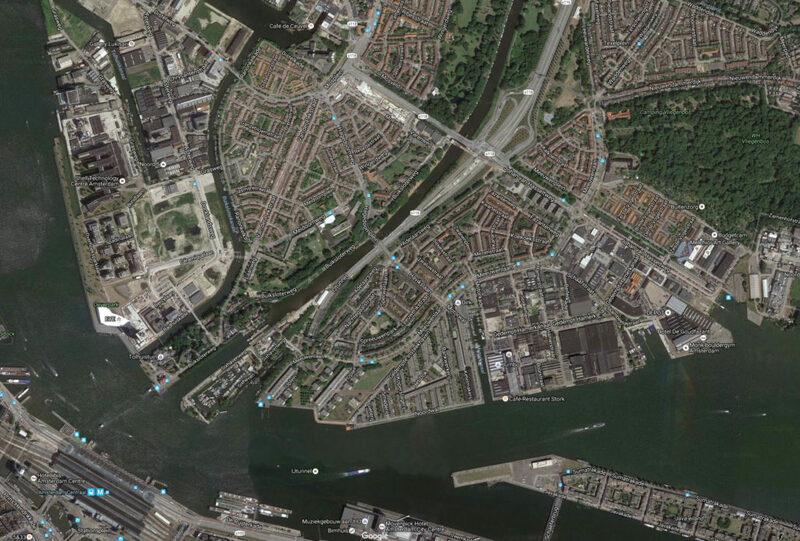 Then the whole city will open up with stations like Zuid just 20 minutes away. Fall out of bed at 8 and be at work for 9? Spot on. Until then, there are three ferries a day across the IJ that take just 10 minutes to make the crossing. All the ferries dock at Amsterdam Centraal and from there you could be at the airport in just 15 mins.